With the World Cup right around the corner the speculation on the tournament winner is heating up by the day. While many people are backing Brazil to win the trophy for the sixth time there are a number of people who believe there are chances for Germany, France and Spain to reign supreme again. With the tournament getting within touching difference all eyes are pointing towards Russia with anticipation. Regardless of the amount of speculation in the press - there are fixed odds doing the rounds on many betting sites and football fan sites. When it comes to World Cup tournaments, everyone seems to always be rooting for the underdog. How many times have people in England gone to watch the quarterfinals with every hope in the world only to have their dreams of an English win shattered? The reason that teams like Brazil are always so hotly touted to be the eventual winners is simply because they are that good. Brazil have lifted a staggering total of five World Cup’s, and it doesn’t look like that number is going to stay put. Popular online sportsbooks like Bwin are giving Brazil the best odds to be the winners in Russia this summer. Although they have great odds, they have only ever won the tournament once on European soil. In Sweden in 1958 they claimed victory so it could be a blessing or a curse that this tournament is in Russia. Although it is not technically Europe, it is still the closest to the EU member states that the tournament has been for a long time. So how do Brazil shape up when it comes to the actual odds? Brazil’s 5/1 odds make them odds-on favourite to win the World Cup in 2018, however, this does not guarantee them a win. Who can forget the 2014 tournament that they seemed so destined to win? Brazil didn’t just suffer a near miss in the semi-finals against Germany, they suffered a 7-1 battering. With similar odds being touted around this time of year in 2014 it could only take a similar situation to Neymar being injured to see them suffer the same fate. This time around they seem to be utilising the youth of their team with two of their best players, Coutinho and Firmino being in their mid-20s. It is almost a shame for England that their team looks stronger than ever because they certainly do not seem to have a chance at winning. But it isn’t only Brazil that are favourites to win the tournament. Depending on what site you check the odds-on, they are sharing the top spot with a team that have had varying degrees of success in previous World Cup tournaments. Germany’s odds have changed considerably over the past few weeks but the most up to date version on online sportsbooks that quote Brazil’s as 5/1 are all quoting Germany as 9/2. Considering the competition was looking set to be a head to head battle between Germany and Brazil in 2014 it is unsurprising that the teams are at the forefront of the battle for the World Cup once again. There are a number of different factors helping Germany’s case for another magnificent win. Being the defending champions is not the only thing they have in their favour. Their Confederation Cup success was achieved using mostly fringe players without having to dip into their first team success pool – a great indicator that they are going to be a strong contender for the World Cup 2018. Another thing they have above their South American rivals is the fact that they are used to playing on European soil. It may sound like a small, inconsequential details but the climate, pitches and stadiums in Russia are incredibly similar to those in Germany. Although Brazil have managed to foster a win in colder countries in the past it still goes in Germany’s favour that they are going to be playing in an environment they are used to playing in day in day out. The tournament really does not look like it will get competitive until the final stages. Both Germany and Brazil have managed to draw groups that will be a breeze for them. With Brazil facing Costa Rica, Serbia and Switzerland they look almost guaranteed to pass through to the final stages. In a similar situation, Germany have drawn Mexico, Sweden and Korea, none of whom look like they will present any sort of challenge to them when it comes to getting through the group stages. Many of the other teams may be betting on complacency from both of the favourites, but they are hoping in vain. Germany and Brazil are both in the best shape of their lives as teams with a succession of young, hungry, highly paid players taking on the baton from the older generation and their 2014 successes. There could be scope for the odds to change during the World Cup depending on a number of factors, but it would take something really drastic to change them during the group stages. There are a number of reasons favourites can suddenly change during a World Cup, or any tournament. Teams that have been favourites have lost, and teams that have been complete outsiders have won. Despite the best and most well-informed speculation in the world, no one will have a clear idea of how the tournament is going to go until the teams actually start playing. So what factors can make the odds change? Perhaps the most obvious one, performance is a huge factor in odds changes. No matter how good a team looked in friendlies and qualifying stages the pressure of a tournament played out in front of the world can change the dynamics of a team significantly. Players can lose harmony for the smallest of reason and one small setback in the group stages can have a huge effect on the team spirit and drive. Team managers are also well known for throwing in players that may not have played with the team a lot before the World Cup starts. This can have varying degrees of success. It has worked in the past on occasion, but it really is a massive gamble. It doesn’t just make a difference to the team, it can also have an effect on the players future performance who was replaced. Feeling undervalued is relatively common in football and even the most well trained, professional players can succumb to their own ego and play badly going forward if they are substituted in a match. As much as football is a team sport there is still always going to be one player in a team during a tournament that simply outshines the rest of the team. If this player is injured then it can change the odds drastically. No one wants to think of a team being carried by one player but you only have to look at the effect Beckham being sent off had on the England team in 1998 to see how it can change the dynamic. Even if it isn’t about the players’ skills, a sending off can demoralise the rest of the team and make it harder for them to push forward towards a win. Outright betting for the World Cup 2018 can be as complicated or as simple as you want to make it. Although the odds have been previously up and down, now that we are drawing closer to the tournament the odds have stabilised a lot and remained the same for a good few weeks. Regardless of the fact the odds haven’t moved much recently, as previously mentioned the odds could change dramatically during the actual tournament. There really is no telling if a player injury or an external factor will upset the harmony of predictions that have been made so far. The outright betting odds do not look set to move a lot before the World Cup actually begins now, so if you are looking to place an outright bet you will be more than likely to get the same deal on any of the popular online sportsbooks. Odds are the same through the market, however, there may be some benefits, bonuses or promotions running during the tournament that could be taken advantage of. 1xBet currently have a World Cup promotion that gives customers a chance to win prizes like a car or a smartphone if they make a correct prediction. You do not need to pay to enter and the qualifying bet to be eligible to take part is minimal (the qualifying bet amount depends on your currency). If you are going to make a bet anyway and the odds are similar across different websites it it worth having a go, especially as one of the prizes is a Bentley. They have the added option to play via mobile or tablet. 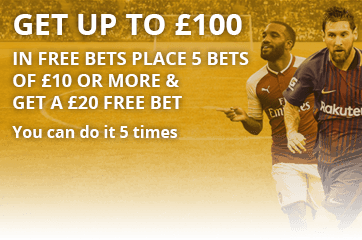 bwin have built themselves up over the years for being a reliable sportsbook with great odds. 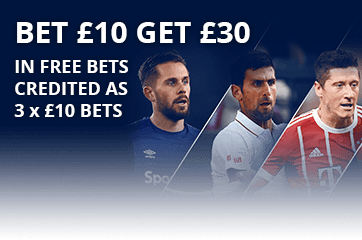 They also have regular no-deposit and deposit bonuses so you could pick up a free bet as well as placing your World Cup bet with them. Bwin have a mobile app so you can bet using a mobile phone or a tablet if you do not have access to a desktop. Again a well-known bookmaker. Paddy Power are not just online and they have built a respectable business with a mixture of online betting and high street stores. Like Bwin they often have promotions that give customers free bets so you could easily pick up a good deal if you place your World Cup 2018 bet with them. Paddy Power have an app and a mobile website, as well as a live betting function.